This hike. That lake. Those views! Keowee Toxaway State Park has some of the most breathtaking views in the Upstate. With it only being 35 miles outside of Greenville, it's an easy trip. We have spent many weekends here exploring the trails, taking in the sights, and swimming in the lake. In addition to hiking, there is fishing, camping and a even a cabin you can rent. TIP: To get to the view that makes this hike so very worth it, hop on the Raven Rock Trail. Overall the full loop is 5.7 miles. The map to the right is labeled with notes from our adventure. You can also find the original here. Shortly after you start the hike on the blue Natural Bridge Trail, you will encounter a fork in the trail, where you must make the decision to go right, or go left. This is an important decision as it determines the views and difficulty of the trail. Going left will take you down a fairly steep descent with a lot of stairs. If you come back this way you are climbing for quite awhile...which you may not want to do at the end of the hike. Also, it's really the prettier of the two options. 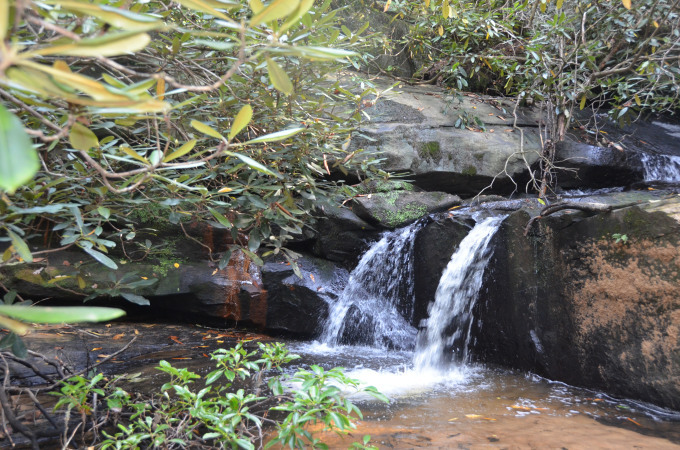 By going left at the start of the hike you will end up by Poe Creek, which features the natural bridge and a waterfall. Eventually the Natural Bridge Nature Trail connects with the Raven Rock Trail, which also then forks. Both paths take you to stunning views and great swimming spots. The water is clear and the air is fresh - it’s absolutely rejuvenating. Into backcountry, primitive camping? 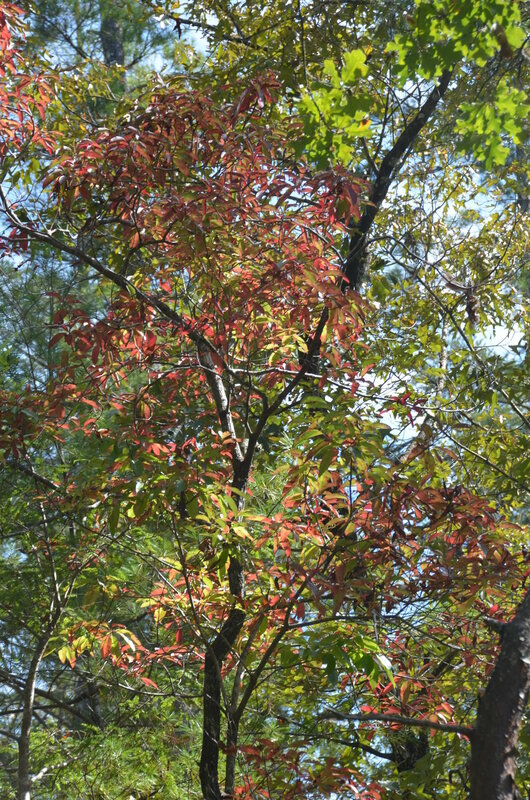 There are three sites, all located along the gorgeous shores of Lake Keowee, right off of the trail. Don’t worry, there are other options for camping that include electricity and water. Get all the information and choose your adventure here. Once you’ve soaked in the views and dried off from your swim, it's time to head back. Continue on to complete the loop or turn around and go back the way you came. Want a workout? Continue back the way you came. Or continue the loop for more of a steady uphill walk. It’s the ultimate “choose your own adventure”! Lake Keowee Toxaway State Park is stunning. It feels as though you are far away from everyday life when you reach the lookout, breathless and awe-inspired. I would do this hike over and over again just for that moment of beauty and wonder. Until next time...happy trails!